Lenovo can always be counted on to create reliable business convertible 2-in-1 laptops/tablets. 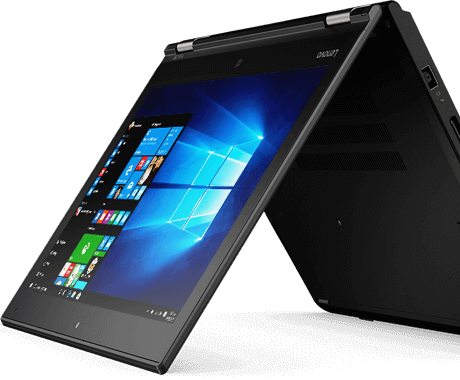 This machine features a fast processor, 12.5-inch IPS display (FHD or HD), and long battery life. It is ultraportable and capable of delivering excellent performance. If you want a light 2-in-1 with a solid build and stylus support, then put the Lenovo ThinkPad Yoga 260 at the top of your list. With nearly 2050 levels of pressure-sensitivity, the ThinkPad Pen Pro offers a natural and precise writing experience. The pre-installed WRTITEit software converts your handwriting to data in any text field. On the keyboard there are distinctive rounded keys that are easy to type on. There is a retraction mechanism that protects the keys when the machine is in tablet mode. Also included are Lenovo’s trademark combination of touchpad and pointing stick. The chassis is so tough that some users choose to carry it around without a protective sleeve. There is a bit of flex in the lid, but not very noticeable. This laptop / tablet combo meets the MIL-STD 810G ruggedness standard to ensure durability. The weight is 2.9-lbs and dimensions in inches are 12.20 x 8.66 x 0.70 (W x D x H). The 720p webcam is located above the screen and the integrated fingerprint reader is on the wrist-rest area. Additional security features include dTPM technology and Kensington Lock. Go up to an Intel Core i7 processor if you need more power and performance. The storage can be upgraded up to 512GB SSD. Communication options include Wi Gig / Bluetooth 4.1 and a WiFi Combo Card / SCR / LTE-A technology. Connectivity includes two USB 3.0 ports, HDMI, Mini DisplayPort, OneLink+ and microSD. This is an environmentally-friendly laptop with GREEN GUARD technology, Energy Star 6.1, Worldwide EPEAT, etc. You can use the 260 in four different modes: Laptop, Tablet, Tent, and Stand. In addition to WRITEit, it also comes with SHAREit, REACHit, Lenovo Settings 3.0, and Companion software. Be sure to opt for a stylus so that you can enjoy drawing and writing. The handwriting-recognition software is very neat. In Lenovo ThinkPad Yoga 260 reviews, users praise a variety of things about this 2-in-1, including its easy and fast setup, light build, good battery life, and smooth mode and orientation switching. Find amazing Lenovo coupons, weekly discounts, laptop deals and more at the online store. When you get a laptop at a low price, you can afford more accessories for it. Just use a Lenovo ThinkPad Yoga 260 coupon or promo code when placing your order. 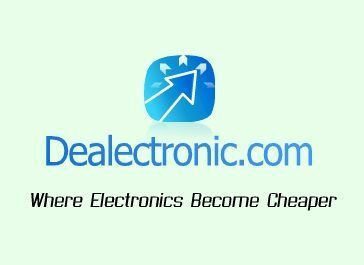 Posted in Laptop Reviews, Lenovo Laptop Reviews, Lenovo PC Reviews and tagged laptop, lenovo, lenovo laptop, lenovo thinkpad yoga 260.